Annual kOOHdos pay recognition to those who’ve excelled over the past year. Photography was strictly prohibited, or so we’ll tell you now. We may or may not have just had so much fun that we forgot to document this “Oscar-caliber” event. No, it’s not a reference to that joke you learned in third grade. This award goes to the OOHligan who doesn’t say much, but cranks out killer work day in and day out. This award goes to the OOHligan who’s always hard at work, even when everyone else departs for the night. Does he sleep? Is he a robot? We don’t know. But his commitment to getting the job done extends well beyond normal business hours. Which OOHligan went from a ‘pillar to a butterfly in 2017? Who took it to the next level? Who started the year as Bruce Banner and finished as the Incredible Hulk? There’s the Heisman Trophy, the Stanley Cup, and then, only slightly further down the list, there’s the OOH MVP Award. This recognizes the OOHligan who most thoroughly killed it over last year. It’s been given to luminaries like Mark Twain, Nikola Tesla and Colonel Harland David Sanders. 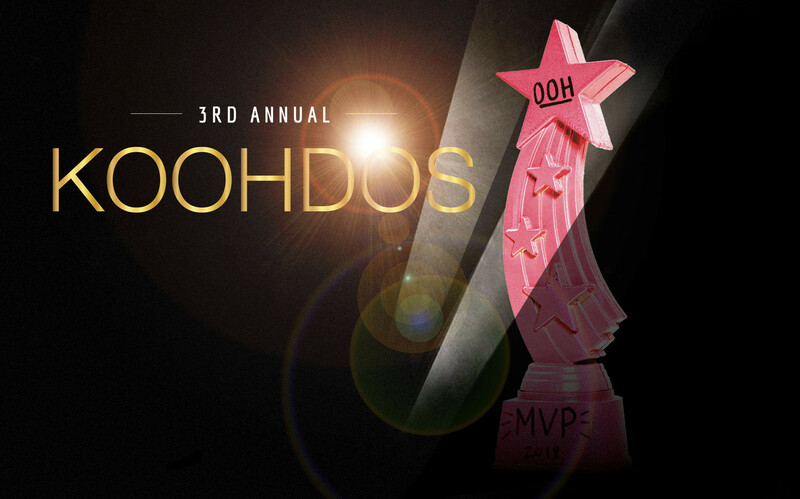 Congrats to all of this year’s kOOHdos winners. We can’t wait to see who rises to the occasion in 2018.